Steve is a wealth management advisor with e3 Wealth, where his central focus is protecting the “purpose” of one’s money. His outgoing personality, and passion for creating not just a client, but a strong relationship built on education, confidence, and mutual trust, is what sets him apart from the industry. Steve graduated from Texas State University where he studied business, economics, and public policy. His formal education served as a breeding ground for a genuine interest in current economic events, financial markets, and our legislative landscape - all of which give him a unique advantage in the planning process. Steve has a strong passion for generational planning and helping families keep what is vitally important to them. He believes that hard work, as well as entrepreneurial and financial success, require qualities that are often times not passed from one generation to the next. Through the proper approach, Steve believes anyone who wishes to leave behind more than just money can not only protect their wealth, but the values and principles that helped create it. 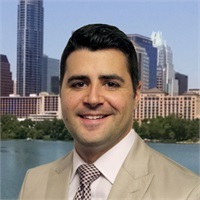 Prior to joining e3 Wealth in early 2016, Steve served as Regional Director for an Austin based financial group. His experience has allowed him to be heavily involved in Austin’s flourishing business economy and a consultant to hundreds of families and business owners across the state. Steve has passed multiple industry related exams and holds a Series 7 and Series 66 securities license. Additionally, he is a licensed broker for both life and health insurance. When Steve is not working with clients he can be found spending time with his wife Megan, and daughter Harper. He is a devout family man who is guided by his faith, integrity, and unwavering commitment to his clients. In his spare time Steve is an avid golfer and die-hard outdoorsman.